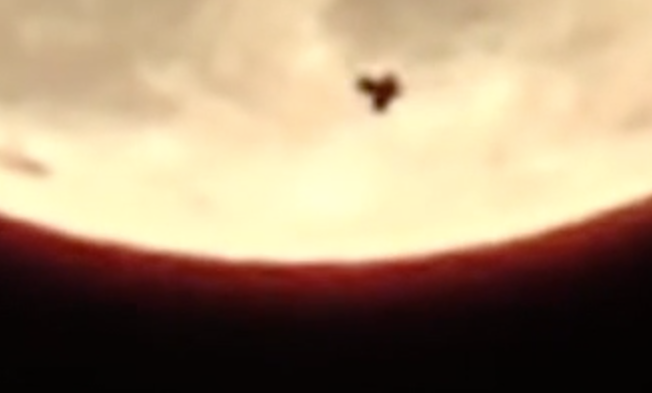 UFO SIGHTINGS DAILY: UFO Caught During New Years Night Full Moon Over England, Video, Jan 1, 2016, UFO Sighting News. UFO Caught During New Years Night Full Moon Over England, Video, Jan 1, 2016, UFO Sighting News. 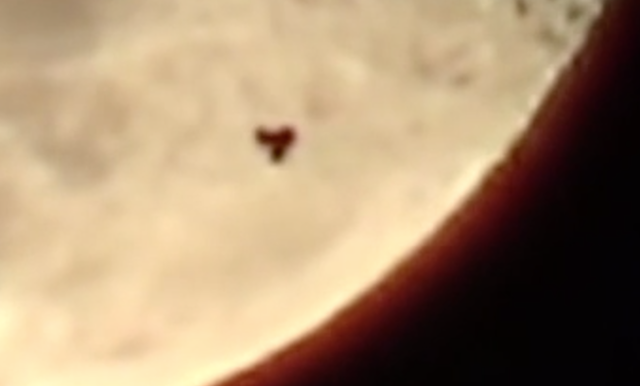 This object is flying close for it to be so large against the moon. Probably in Earths orbit or lower. The UFO has three congruent sides and if moving at about the same speed a jet would be moving. This looks like another space station, but its not the ISS for sure, wrong shape. The first UFO catch of 2016. When a St Helens-based painter and director pointed his camera to the sky to capture the first moon of 2016 he unwittingly videoed an Unidentified Flying Object passing over it. Mike Dean, 43, had climbed up to the top of Billinge Hill to film the New Year’s Eve fireworks at midnight. When they finished he left his Sony camera pointing at the moon for a few minutes while he had a beer with mates who had joined him up the hill. The group of friends then headed back to Mike’s house to watch the firework footage - only to spot a quite unexpected mysterious object passing over the moon at 12.20am. Mike said: “I was very surprised as I was only meaning to shoot the first New Year’s moon,” Mike told the ECHO. “It got me and my friends talking. We kept rewinding it and debating what it was.” Mike, who does not believe in aliens, thinks the UFO is a satellite - although some of his friends aren’t too sure. He said: “I don’t think it’s an alien but it’s still a mystery - an unexplained thing in my camera. I don’t think it’s a plane because they often have flashing lights and leave a vapour. 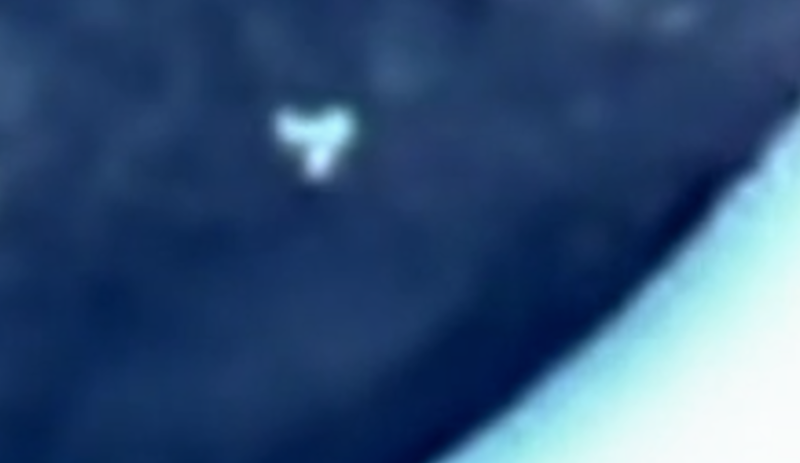 This object looks like it’s out of the atmosphere.” More at source.